← Kitchen Floors Finally Finished! 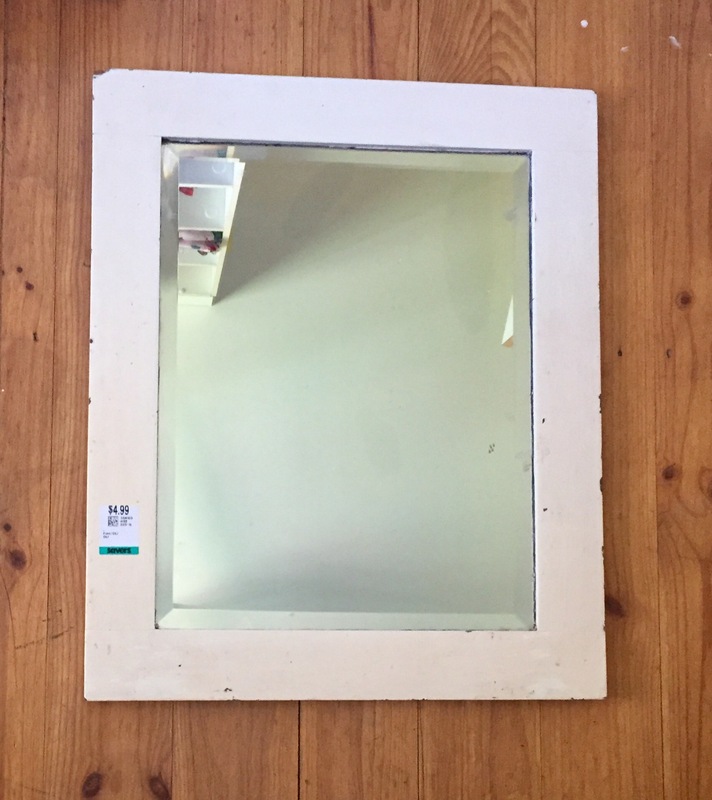 When I spied this bevelled mirror in the op shop for $4.99 I knew I couldn’t pass it up. 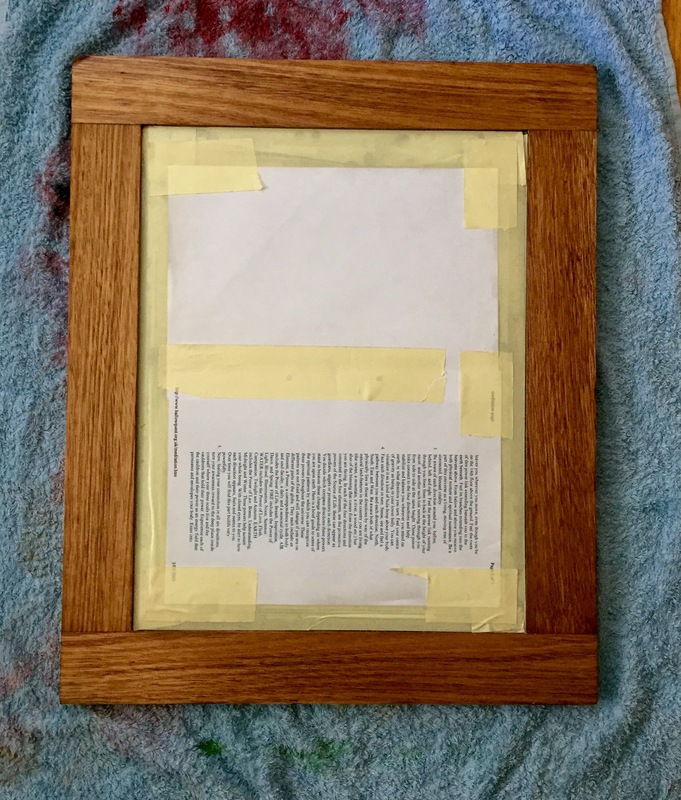 A couple of hours with some paint stripper and a sander revealed a gorgeous oak frame. 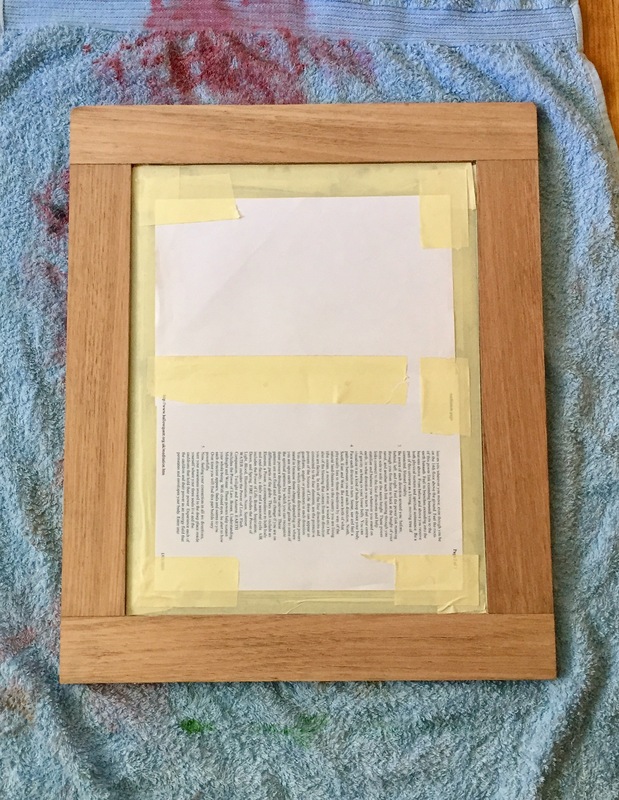 It had been stained darker, but I used a clear varnish to keep it a bit lighter. 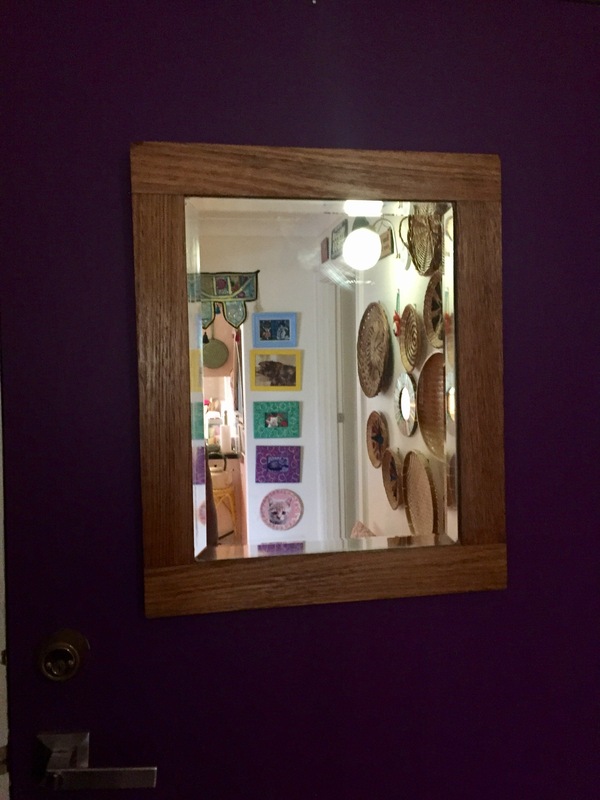 I hung it on the back of the front door so I can check my reflection for paint smudges on my cheek or forgotten paint brushes tucked into my ponytail before I leave the house! 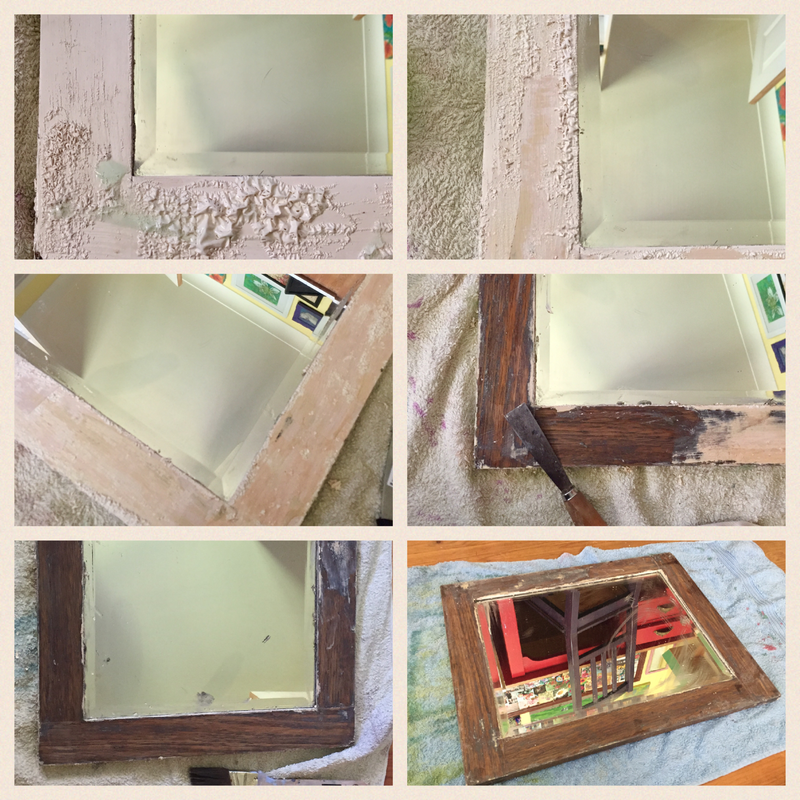 This entry was posted in Decorating, Furniture Makeovers, Home DIY and Decor, Op Shopping, Upcycled Projects, Upcycling and tagged diy, mirror, op shop, thrift store, vintage. Bookmark the permalink. what a find! Bevelled mirrors are great. 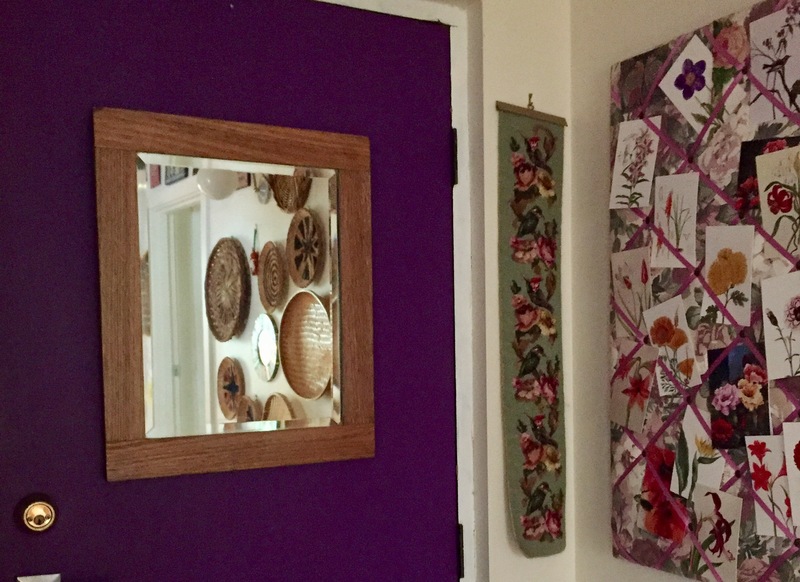 I love your purple door too! 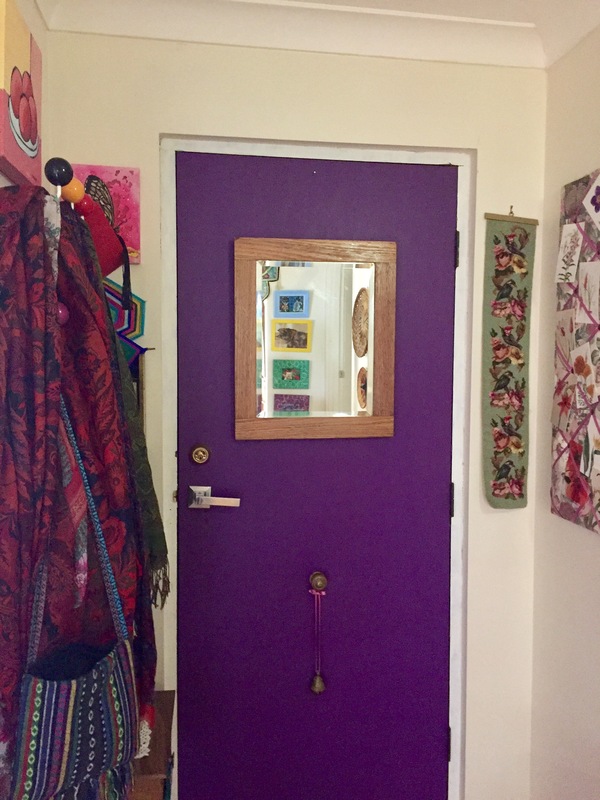 I love my purple door too, although it needs a new coat of paint and I’m wondering whether to paint it a different colour?